Leon Russell, Gregg Allman, Ziggy Marley, The Rolling Stones and many more. The Phantom Blues Band explores everything from Texas Blues to Memphis Soul with an injection of Reggae for good measure. Silvan Zingg’s style is characterized by a great portion of swing, heavy groove and an impressive virtuosity. With a refreshing repertoire of over five hundred titles, he plays lively boogie-woogie, sensitive blues, classic jazz and swing. played in more than 30 countries up to now (Europe, USA, Russia, Asia and the Middle East).The critics describe him as an exceptional pianist, impressive by his technique and his cheerful enthusiasm. Silvan Zingg appeared and performed on stage with legends like Chuck Berry, Ray Charles, Kathie Webster, Sammy Price, Memphis Slim, Champion Jack Dupree, Tito Jackson, Michel Petrucciani, Pinetop Perkins and many more. Meeting Claude Nobs made one of his dreams come true! The year 2011 will see him perform for the first time at the Montreux Jazz Festival with B.B. King and Carlos Santana. Since Silvan’s first invitation in April 2002 in Lugano, world class musicians and dancers gather every year for the “International Boogie Woogie Festival” in Switzerland. As a result of the annual rising success of this high-profile meeting of renowned artists, the TV Station BBC World reported worldwide on it. Born and Raised in Chile, Zarate came to the US at age 20. She has worked and studied in the music industry jazz studies, music therapy and ethnomusicology; has taught private saxophone Instruction as a Teaching Assistant at Howard University in Washington DC, and Ethnomusicology at University of Maryland. She has published music therapy articles in the Journal of Medicine of Chile, Journal of Pediatrics of Chile, Medical Journal of Panama, worked as music therapy intern at the New Hampshire Psychiatric Hospital, and in January of 2013 founded the 1st Latin American Music Therapy Symposium in Panama City. 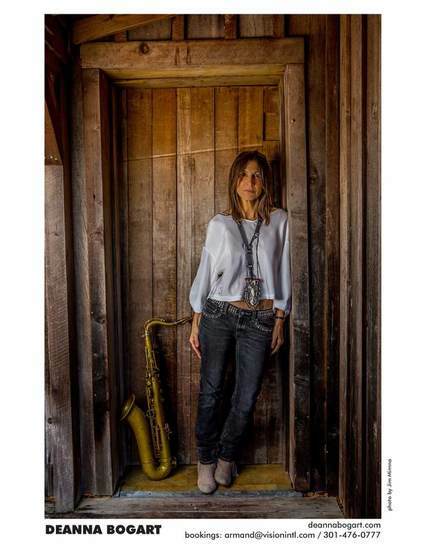 She has performed as a professional saxophonist with a variety of bands in diverse settings in USA, Latin America, Africa, Asia and Europe and in places such as Havana Jazz Festival, San Salvador Jazz Festival, Paris Conservatory, Lincoln Center (New York), Kimmel Center (Philadelphia) and currently works as Outreach Coordinator (and is a member of the Advisory Board) for the Berklee Global Jazz Institute (at Berklee College of Music). Zarate has studied at Berklee College of Music, New York University, University of Maryland, Howard University, and Harvard Extension School. She has presented her research about "Music as a Tool for Social Change" in USA, Latin America, and Europe. She also performs as guest saxophonist in her husband's band the Danilo Perez. Versatility and a strong sense of melody have helped make Marshall Keys somewhat of an icon in his native Washington, DC. The wide audience that used to listen to his group at Takoma Station and the Ritz Club has long wondered when he would finally release an album under his own name. "The longer I waited, the greater the pressure was to make a good recording and a really strong statement". The new recording, "First Born" will be released probably in late summer 2001. Keys attended Howard University, switching to music only after 2 years of a psychology major. He performed with the Blackbyrds, and eventually joined the band of legendary blues organist Jimmy McGriff. "I think that is when my education really began", Keys remembers. "There are some things that can only be learned on the bandstand with great players." 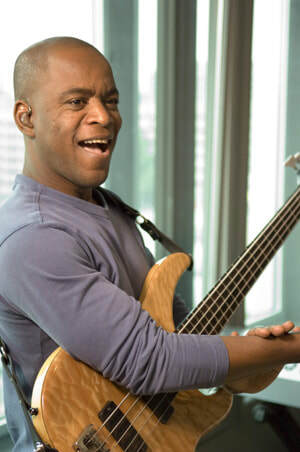 Keys recorded the album "Countdown" with McGriff and still occasionally tours with his band. Keys' performing credits also include gigs with jazz luminaries Lionel Hampton, Clark Terry, Steve Allen, Jimmy Witherspoon, Big Joe Turner, Sonny Stitt and Branford Marsalis as well as recordings with Cyrus Chestnut, Vinny Valentino, Gary Thomas, Dave Valentin and jazz fusion artists John Stoddart, Keith Killgo, Marcus Johnson, Kirk Whalum, Dan Reynolds, and Paul Jackson Jr.
Scott Ambush is an American musician, best known as the bass player of jazz fusion band Spyro Gyra. I was born April 28th, in the not too distant past, in Frederick, Maryland to Webster and Jeanette Lofton Ambush. I was preceded by my sister Cassandra, and followed by brother Peter and sister Tracy. Since my sister is two years older, and my brother five years younger, I guess I'd be considered the middle child. A psychological profile I think, would confirm this. I attended Ubana Elementary School in Ubana, MD, West Frederick Middle, and Frederick High School. Although I managed above average grades, my mom was constantly bombarded with the dreaded "Talks too much in class" notes. I played in the jazz ensemble, ran track, and play on the football team. I started playing the bass at twelve when my buddies decided to start a band. Since one of them already had a drumset, I became the bass player. (I've been a frustrated drummer ever since.) We began playing rock and roll by such artists as Jimi Hendrix, Cream, Led Zepellin, Black Sabbath, Sly and the Family Stone, The Isley Brothers, Parliament/Funkadelic, and others. A few years later, my cousin Allen turned me on to Return to Forever and Stanley Clarke. I was never the same. We formed a band playing "fusion" and straight ahead jazz, while also playing funk and R&B in other bands. Incidentally, my mother was a gospel singer, so there was also a lot of spiritual music in my household. This made for a very diverse` musical development. After high school, I attended the University of MD at College Park. While studying psychology during the day, I was introduced to the Washington, D.C. music scene at night. Read more…..
John was born in Panama City and began his musical career there before moving to the U.S. He continued his career playing Country, Rock, R & B, Blues, Latin Jazz and Classical. 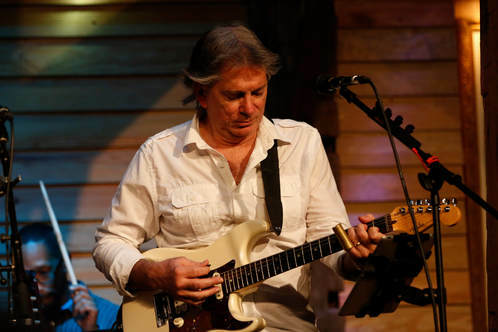 In addition to playing in Panama, New Mexico, and Texas, John has performed in Atlantic City, Cancun, Puerto Vallarta, Orlando, New Orleans, and in Europe with award winning Swiss Blues guitarist, Andy Egert. John has also opened for Bo Diddley, Styx, Little Richard, Clint Black, and backed such legendary artists as Joe Cocker and Percy Sledge. In 1991 John became lead guitarist for the "Big Otis Show Band" and spent the following 8 years playing beside many of the best musicians in Texas. In 2000 John started his own smooth jazz band Gato Maximo. Currently John can be seen performing regularly in Panama City and the Coronado area in Panama. 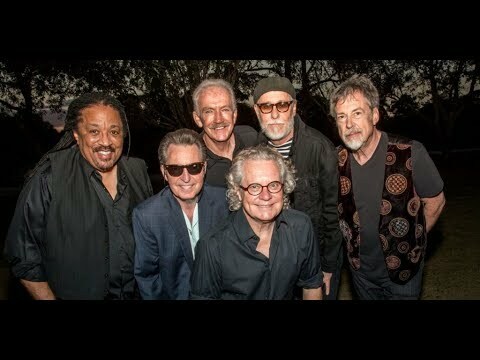 In February 2015 John performed at the 9th Annual Boquete Jazz & Blues Festival with his band and was invited back to Boquete in February 2016, 2017 and 2018. John is looking forward to performing at the 13th Annual Boquete Jazz & Blues Festival in February 2019. Known as Escorpión de Paritilla (Paritilla's Scorpion), in reference to the place he was born, Osvaldo Ayala had the opportunity to work along with Celia Cruz, Wilfrido Vargas, Tito Nieves, and Oscar D'León, among other popular Latin artists participating in Ruben Blades' successful album La Rosa de Los Vientos. Some of his most successful songs are: My Crying , Feelings of the soul , Without your presence, Tell the truth , among others. Director of his own salsa group "Son Pa Ti". Formally works as a lawyer in Panama City. 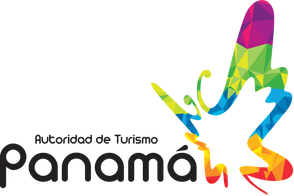 Read more…..
Rigoberto Coba is a native of David, the capital city of the Panamanian province of Chiriqui located just 38km away from Boquete. 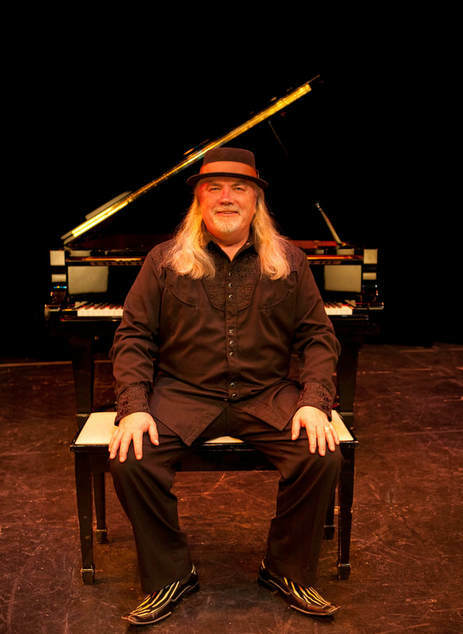 Being a professor of music at a David university he is working with various musical formations featuring various musical styles from jazz to salsa, bossa nova and merengue. His show with a 18 piece Big Band that he had specially put together for the 2012 Boquete Jazz&Blues Festival (it was their first-ever public show!) earned so much praise and applause that we just had to invite him back again and again for more great shows. Music has always been in the heart of Jimmie Lee Hunter III. The Dallas, Texas native started singing at a very young age. By the age of fourteen, Jimmie was playing bass guitar and during his teens he played and sang with local bands and choirs. Breaking out on his own gave Jimmie the freedom to express himself through his original music, and to perform covers from a variety of his favorite artists. Some of the artists that influenced and inspired him include: Earth, Wind & Fire, Marvin Gaye, Barry White, Prince, Gap Band, Temptations, Commodores, Jimi Hendrix, The Eagles and Luther Vandross. Currently the popular “The Jimmie Hunter Band” perform a great mix of Smooth Jazz, Motown, R&B, Blues, music from the 70s, 80s, 90s and current hits. That is 4 BMAs and one nomination for piano in 2013! John Weeks plays guitar and lives in Denver. John has been very active in the Denver blues scene for a number of years prior to starting the John Weeks Band in 2013. 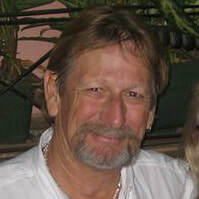 John’s musical experience started in Europe in the early 70’s. He was living in Paris in the early 90’s when he decided to abandon outside distractions and concentrate on music. In the mid 90’s his band, TNK (Frederic Dubois on drums, Gilles Verasano on bass) averaged over 200 dates per year and was a constant presence in the Paris music scene.